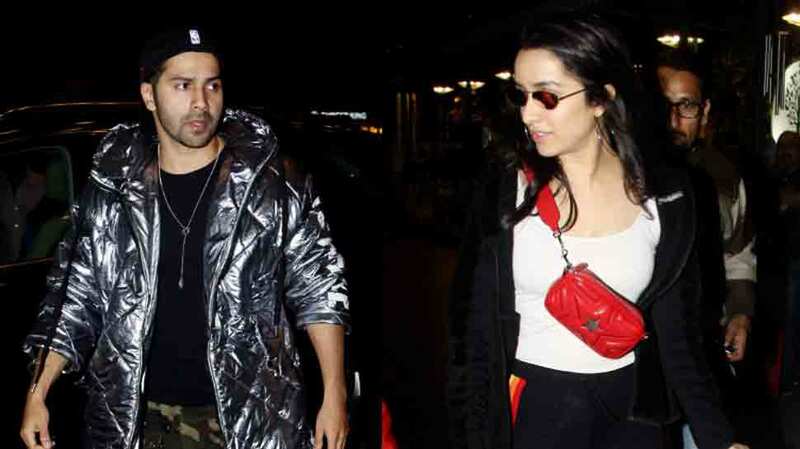 New Delhi: 'Street Dancer' co-stars Varun Dhawan and Shraddha Kapoor were clicked at Mumbai airport as they left for London for the next schedule of the film. The team recently wrapped up the first schedule of the dance film in Punjab and now they are all set to kickstart the next schedule in London. Both Varun and Shraddha caught everyone's attention with their appearance on the runway. Varun looked uber cool in a blingy jacket which he wore with a military print track and a stylish cap. He completed his look with a silver chain, which gave him a 'rockstar' look. Shraddha, on the other hand, matched with Varun and looked gorgeous in a black track pant which she wore with a white tee and a black jacket.